We are excited to announce the partnership between SeeClickFix, WRAL and The City of Raleigh. 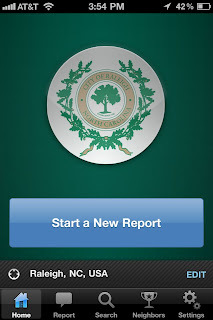 Starting today all Raleigh City Council, The Mayor and City Services will be using SeeClickFix Plus to track and acknowledge issues. Their citizens will be using the Raleigh customized Blackberry, Android and iPhone apps to take photos of potholes, graffiti and other non-emergency issues to create reports for the city to fix. They also will be able to report via the web on WRAL's website and the City of Raleigh's website. Its not unique that media partners and city partners are using SeeClickFix in the same city. The Washington Post and Washington DC 311 as well as Philly.Com and Philadelphia are good examples of media and gov SCF cities. What is unique is that WRAL has committed to purchasing the Plus service for the city. This marks a new level of commitment to civic engagement from a SeeClickFix media partner. When media and government work together to foster accountability, responsive governance and engagement there's no stopping them. A big thank you goes to Councilman Gaylord who first brought SCF Plus to Raleigh back in the fall and proposed the bill to approve the use of the software. The old "tax business out of business" model of public sector funding is dead. The private sector has shown it is willing and able to creatively fund public sector projects in a meaningful non-tax based model. I commend all those involved including SeeClickFix! How long is WRAL's commitment for? Loose Pitbulls and Community that gives a damn. Vancouver Downtown Ambassadors are on fire!